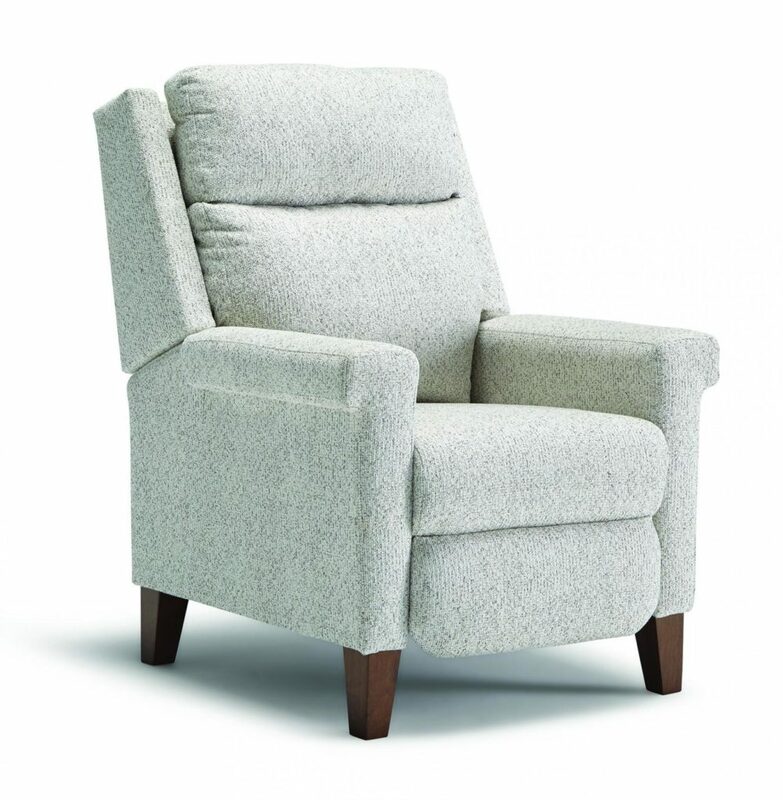 Best Prima features unique square arm shape yet classically appointed comfort. The Prima features simple yet elegant styling along with the square arms and tapered legs. The high leg recliner comes in power however, but also manual. The reclining chair exudes elements of Mid-Century design while maintaining enough traditional. The seat cushion features encased coil springs hence long lasting comfort. Fabrics that are available are nearly limitless with nearly 700 to choose from. The feet finishes are another option that include walnut, black, and riverloom. Made in Ferdinand, IN USA.